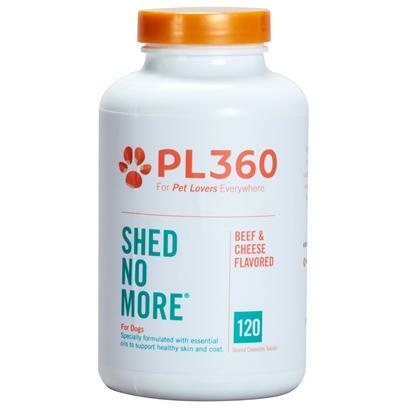 PL360 Shed No More for Dogs is specially formulated with essential oils to support healthy skin and coat. Options Available: Beef & Cheese Flavor 120ct. Beef & Cheese Flavor 250ct.